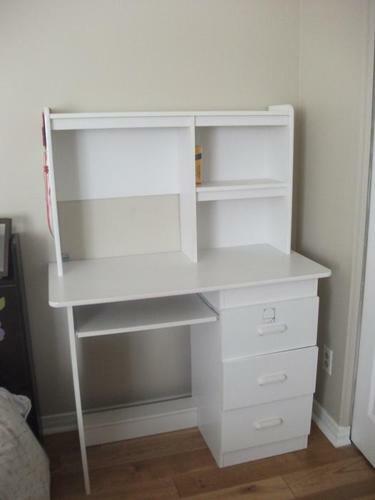 these Items are new, very nice for a girl school age, Desk with 3 drawers and a shelf for laptop + chair. the Bed still in very good condition, with 2 big drawers to store pajamas & other Items, same color White. Each! Fisher-Price Little People Play 'n Go School/pull a long shoe.